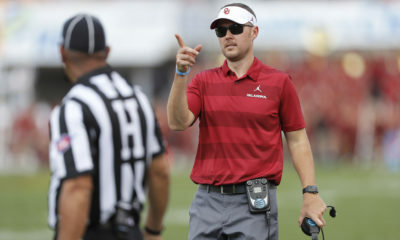 The Oklahoma Sooners are back in the College Football Playoff. The Sooners (12-1) climbed to No. 4 in the final playoff rankings and will play No. 1 seed Alabama (13-0) on Dec. 29 in the Orange Bowl, the playoff committee announced Sunday morning. 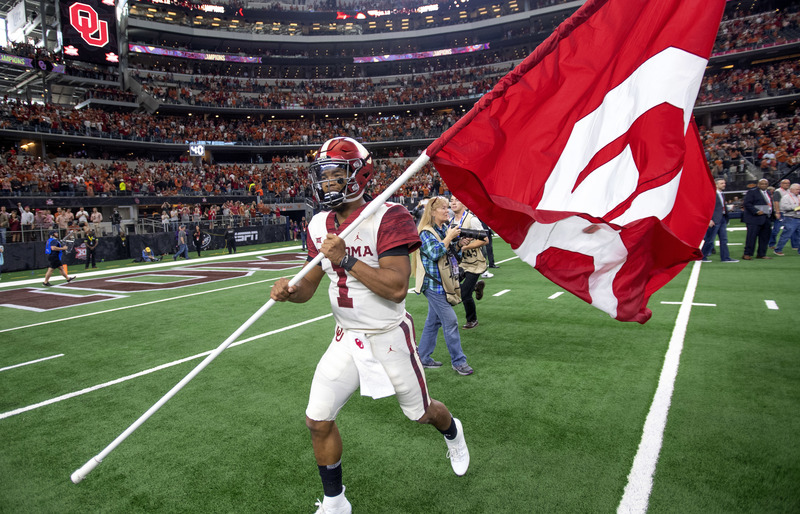 After going 11-1 in the regular season, OU’s 37-29 victory over Texas on Saturday in the Big 12 Championship Game was the final piece of the playoff puzzle. The Sooners beat out No. 5 Georgia (11-2), which lost to Alabama in the SEC Championship Game, and No. 6 Ohio State (12-1), which defeated Northwestern in the Big Ten Championship Game. No. 2 Clemson (13-0) and No. 3 Notre Dame (12-0) will play the other CFP semifinal in the Cotton Bowl in Arlington, Texas, on Dec. 29. Kickoff times will be announced later Sunday. The winners of the Orange Bowl and Cotton Bowl meet in the College Football Playoff title game on Jan. 7 in Santa Clara, Calif.
“We spent considerable time on it as you might expect,” selection committee chairman Rob Mullens said on ESPN after Sunday’s announcement. 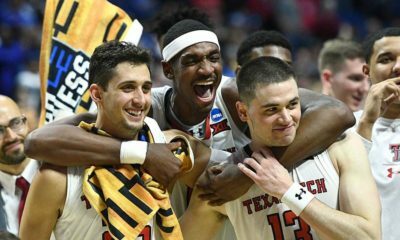 “In the end, one-loss conference champion, with their only loss being on a netural field, close loss to a ranked team, which they avenged in their conference championship. Mullens said “there was strong debate” about the 4-5-6 teams, which were virtually tied. “There was even division in the room. “We’re looking at full body of work. We understand the charges to get the four best teams. I can assure you that every combination was discussed in the room. Riley has great respect for Alabama. 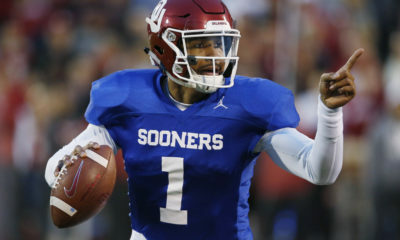 The Orange Bowl likely pits the top two vote-getters in the upcoming Heisman Trophy balloting: Oklahoma QB Kyler Murray and Alabama QB Tua Tagovailoa. Saban said Tagovailoa would have a surgical procedure to repair a high ankle sprain he suffered in the SEC Championship Game, after which backup Jalen Hurts came in and rallied the Crimson Tide to victory. 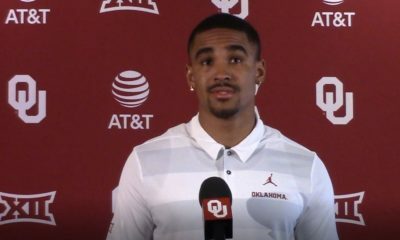 OU is also dealing with the threat of a significant injury. Wideout Marquise Brown, an All-America candidate, suffered what Riley termed a “lower leg injury” in the victory over Texas. The Orange Bowl, of course, is Oklahoma’s postseason home away from home. The Sooners have played in the Miami game 19 times and have a 12-7 record there. That includes the 2008-09 BCS National Championship game (a 24-14 loss to Florida), the 2004-05 BCS National Championship Game (a 55-19 loss to USC) and the 2000-01 BCS National Championship Game, a 13-2 win over Florida State and the Sooners’ only national title in the last 33 seasons). That also includes the 1962-63 Orange Bowl, a 17-0 loss to Bear Bryant, Joe Namath and the Crimson Tide. That was Bud Wilkinson’s last bowl game. 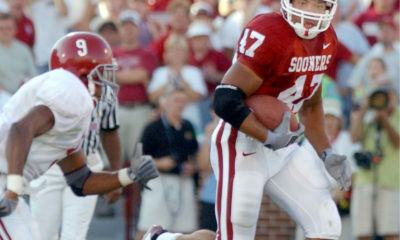 The teams also met in the Sugar Bowl at the end of the 2013 season, a 45-31 OU victory. Alabama and Oklahoma also faced off in the 1970 Bluebonnet Bowl in Houston, a game that ended in a 24-24 tie on Bruce Derr’s late field goal for the Sooners. OU leads the all-time series with ‘Bama 3-1-1, including regular-season victories in 2002 in Norman (37-27) and 2003 in Tuscaloosa (20-13).